Psychiatry remains an emerging discipline. Many people suffer from ailments that have no apparent cause, no obvious cure. Quite by accident, while using hypnotherapy, Dr. Modi discovered that past-life regression can be a beneficial treatment. Many of these patients, under hypnosis, claimed to have spirits attached to their bodies and energy fields, creating psychological and physical problems. Based on years of experience, Dr. Modi describes techniques that release these spirits, revealing how patients can sometimes recover within a few sessions. While most doctors would agree that emotional states affect our health, few would give credence to spiritual "influences." 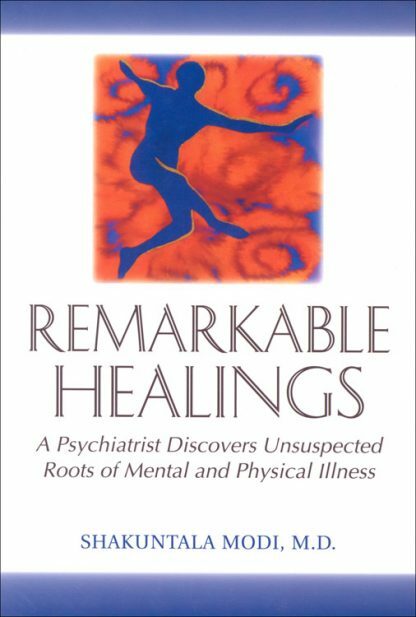 In this truly groundbreaking book, Dr. Modi presents evidence that something beyond the physical affects the health of many people, and urges medical scientists to objectively assess this revolutionary approach to mental and, often, physical illness. Pioneers have the courage to put aside the status quo and evaluate what the evidence shows, even if it defies the prevailing logic of the time. Both physicians and the general public should explore the pioneering work of Dr. Modi--work which no doubt has produced many remarkable healings.